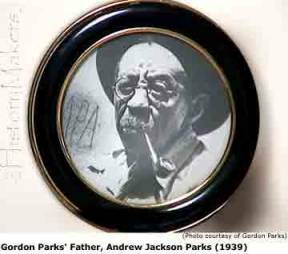 'Do you know who Gordon Parks is?' If you answered 'No' I was with you 5-6 years ago. While researching something online one night, I came across an area college photography contest. 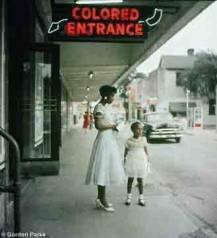 It mentioned the man the contest was named after, Gordon Parks. 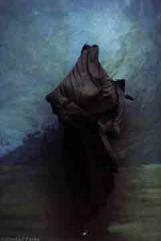 I sought to learn more the artist worthy of a college art competition. If you answered 'Yes' you may relate to me now six years later. Here I am with a shelf full of books on and by him, a signed photo of him for inspiration on my office wall, and he is discussed so often in my college courses on photography, that my students often affectionately refer to him as "Gordon baby". From meager beginnings great things came to be. Parks repeatedly credits his parents as being his heroes, for the "Compassion and generosity", as they managed to raise such a large family in a small two-bedroom house. 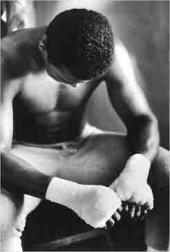 They helped to prepare him for a rough road that life had dealt him. Racism was a normal part of life in Kansas during his childhood, and he commented he considered himself "lucky to be alive especially when I remember that four of my close friends died of senseless brutality before they were twenty-one." While working as a waiter on a train, he frequently found himself in Chicago, on layovers. On one such stop he viewed pictures of the bombing of the 'Panay', a U.S. Navy gunboat. 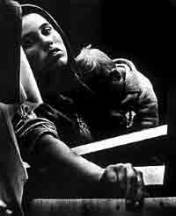 Eventually he also saw images created by the Farm Security Administration photographers, such as Dorthea Lange, Roy Stryker, Walker Evans and others. They all showed him that could he express himself and still show what was happening around him. So at the age of twenty five he was inspired to buy a used camera for $7.50, and he to seriously pursue photography. In 1942 Parks moves his family to Washington D.C. in order to work for the FSA. On his first day in Washington, Stryker told him to get a meal, see a movie and to buy a new suit. But when Parks tried to do as he was told, he was shown the back door, refused service, and the stores mysteriously did not have his size, no matter what size he asked for. When Stryker asked how things went Parks commented that, "Mississippi couldn't have been worse." Stryker explained to him that his job was now to show through his photographs the way the country really was. It was not enough for him to simply take a photograph and label it "bigot". He would have to do more to truly show what was happening. It did not take Parks long to begin a journey of a lifetime. 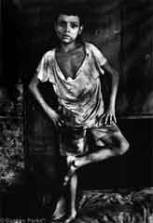 His first professional photo was "American Gothic". A charwoman happened to be mopping the floor of the FSA building when everyone else had left for the day, and Parks asked her to pose for his camera. Two days later he showed the piece to Stryker. 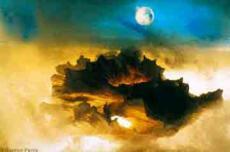 He simply shook his head as he viewed the image. "Well your catching on, but that picture could get us all fired." 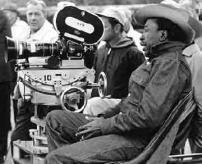 Gordon Parks on the set of "Shaft"
Growing up in Kansas, when he did, he was not encouraged to go to college. Nevertheless he has gone on to be awarded over fifty honorary doctorate degrees from various universities. And despite the racism that was present in the industry, he was hired as a fashion photographer for Vogue Magazine, and became cofounder of Essence magazine. At the age of thirty-five he published his first book, "Flash Photography", the start of numerous others, including 'The Learning Tree' in 1963. It is required reading for many school districts across the nation, and often included among the 'most frequently challenged books list'. The latter he made into a feature film, as the first African American film director for a major studio (Warner Brothers). The filming required Parks to return back to Fort Scott Kansas to complete the project. 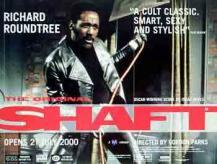 But the creation that most people recognize with his name is the movie "Shaft" in 1971. 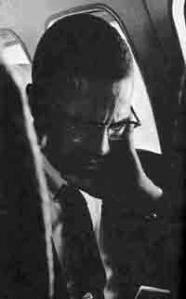 Making him what many consider as one of the contributions to the blaxploitation genre. 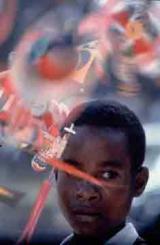 Donald Faulkner, director of the Writers Institute once commented, "Gordon Parks was like the Jackie Robinson of film. His history as a filmmaker is part of American history. He broke ground for a lot of people, Spike Lee, John Singleton, who are working successfully now." His achievements are even more remarkable, when you consider that a man who never graduated High School achieved these things. To help rectify the situation, last July a delegation from his hometown, including a former mayor, came to New York and presented him with a high school diploma from the Fort Scott high school. Seventy-seven years after a teacher named Miss McClintock, told Parks and other black students within the school, "Don't waste your parents' money on college. You'll wind up as porters and maids." Parks is said to credit her with "...pushing me to find her wrong". 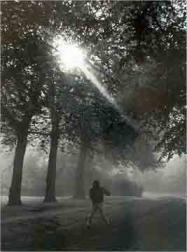 This past February 2003, Parks publisher released the book, "The Sun Stalker," a novel based on the life of J.W. Turner. It was his eighteenth book, including three full-length memoirs. Life magazine still calls upon him to write essays from time to time. 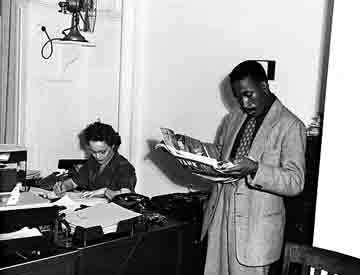 Today at the age of ninety-one, when his health permits, Gordon Parks continues to do speaking engagements, and to personally accept awards. 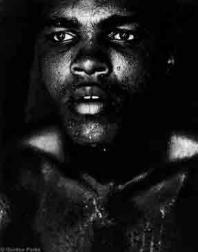 p>If you wish to see his work in person, you can currently view a portion until February 29th, 2004 where a portion of his work is included in the International Center of Photography's, NY, NY exhibition "Only Skin Deep; Changing Visions of the American Self". As an instructor, I encourage my students to seek out a mentor. It is expected that looking to others will find them guidance, ideas and hopefully prevent them from having to 'reinvent the wheel'. It is also hoped that they will choose someone that will show them anything is possible. 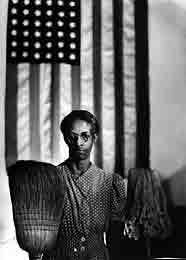 For me, one such person has been Gordon Parks. Although he began life as a poverty stricken youth on the Kansas Prairie, he seems to finally be gaining the recognition he has long deserved, as both a creative genius and an inspiration for many generations to come.